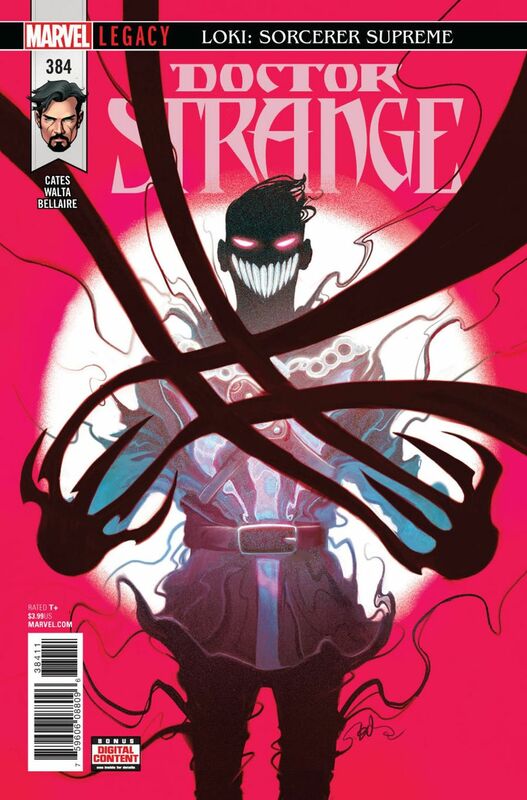 In Doctor Strange #384 by writer Donny Cates and artist Gabriel Hernandez Walta, Doctor Strange got a pair of considerable power boosts. Previously, Doctor Strange lost the mantle of Sorcerer Supreme to Loki. In an effort to get it back, he went on a quest to Asgard where the World Tree gave him what he would need to beat Loki: a branch of Yggdrasil charged with magic. Upon using it, he got a massive power boost and an Asgardian makeover.